Back in 2013, New Adventures was the first web conference I ever experienced, and after attending many more since then, Jessica Hische’s “Procrastiworking” talk still stands out as one of my personal favourites. I was left inspired back then, so naturally, when I saw New Adventures tweet ‘2019’, I jumped at the opportunity to attend its big comeback gig. I was even fortunate enough to snag one of the tickets to Harry Roberts sold out workshop “Front End Performance: Building Faster Websites”. Harry’s work on modular, expandable CSS has been incredibly inspiring and helpful to my career, so I was extremely excited to attend a one day workshop on his more recent expertise. After being urged to “bring something to make a LOT of notes”, I knew this workshop was going to offer an incredible amount of information. I wasn’t wrong, with Harry almost immediately hinting that we were staying “until we get kicked out”, then revealing that the workshop consisted of something near 400 slides. Harry’s passion for the subject became very apparent, and we dived right in. The workshop was mainly geared towards ways in which we can audit websites and figure out where we can improve performance, it also included one tip that justified the ticket price alone, inspect element has a command menu (Command + Shift + P)! A week later I’m still working through my stuff to Google list from my notes and discovering new ways in which I can better my sites performance using the multitude of tools Harry demonstrated, namely http://webpagetest.org, which gives a quick, brief audit of your site's performance, a great starting point for a full performance audit. Harry Roberts (@csswizardry) sold out workshop “Front End Performance: Building Faster Websites"
I arrived at the conference on Thursday, grabbed a coffee from Outpost (my favourite coffee shop in Nottingham’s NA popup store). Having his own coffee popup was apparently one of Simon Collison’s (Director of New Adventures) life goals. I ended up chatting to a bunch of very interesting people. It was crazy to hear how far some people had travelled to be here, with one guy's justification simply being, “it’s New Adventures!”. I guess I understood those feelings, I’d likely buy a ticket for this event without even knowing the lineup, kind of like the Glastonbury of web conferences. This quote feels absolutely perfect for the web, where quick solutions are often taken due to the aforementioned sense of need to keep up with the latest tech, it feels incredibly fitting that we should sometimes sit back, take a deep breath and slow things down. Jeremy Keith's (@adactio) talk on "Building Language"
The second theme was positivity and inclusivity, with multiple talks dipping into this territory. The first being Clare Sutcliffe, co-founder of Code Club, a now global network of after-school coding clubs for children between the ages of 9 and 11. Hearing about Clare’s contribution to the technology community was inspiring, she was awarded an MBE for services in technology education back in 2015, and gave some great insights into her approach such as “have belief in your idea and faith in your ability”, “communicate more than feels necessary” and “don’t forget to develop your teammates”. Jessica White’s talk also touched on these subjects, with a story of how a past employee used lots of “small acts of rebellion” to shift the process at work in a direction of equality and speaking the same language. Jessica’s resounding takeaway was that we should be more transparent, less cross-functional and more multi-discipline. Finally, a talk that really filled me with joy (no pun intended) was Helen Joy’s “whose design is it anyway?”. Helen told a story about real life user testing where her and a colleague would attend regular site visits to gain a better understanding of their end users. She threaded this in with the analogy of filter bubbles, a term coined by Internet activist Eli Pariser. A filter bubble is a state of intellectual isolation that Helen thought she often found herself in, showing a side by side example of the difference between her modern office and her end users single computer in a shed within a garage. She went on to show some hard-hitting stats, such as “there are currently 4.3 million adults in the UK with zero basic digital skills”. We often share thoughts on this topic, so hearing this again from others in the industry, reiterated that this often overlooked area of UX testing is something we should all consider, sometimes, stepping away from the 27 inch iMac pro is necessary. The final key theme I took away from New Adventures 2019 is that the tech community is awesome - every single person I spoke to throughout the workshop and the conference itself were incredibly friendly, passionate and non-judgemental. All of the speakers left me with at least one interesting anecdote or inspirational thought. Brendan Dawes wants us to “make a thing to make a thing” and “do things you don’t know how to do”. He also demonstrated a ridiculously cool NFC based “modern record player”. Ashley Baxter wants us to sign the Copenhagen Letter. 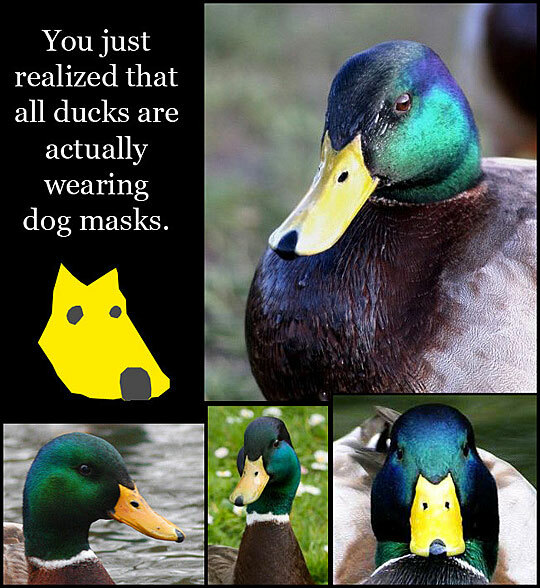 Jeremy Keith ruined our lives by explaining that all ducks are wearing dog masks. There are many more but I won’t go on, the overwhelming takeaway is that there are so many awesome people doing great stuff in this community. One that is often filled with shipping anxiety, imposter syndrome, fear of showing unfinished work, the list goes on. 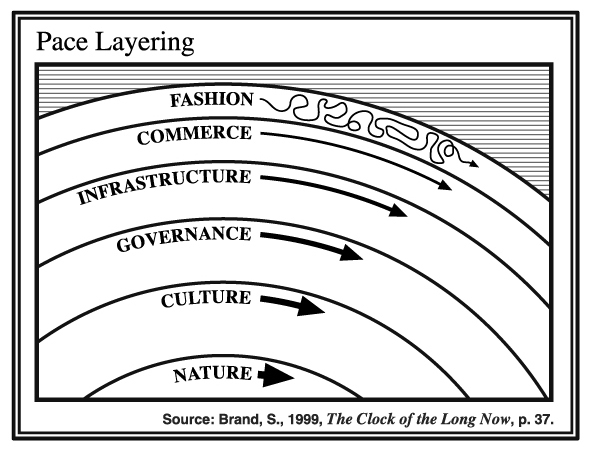 It’s incredibly refreshing to have that one conference back, the first web conference I ever attended, the conference with 700 cupcakes, the Glastonbury of web conferences. Ashley Baxter reminds us that we should “stop obsessing over features and the tech that powers them”. She goes on to add that we should “resist the urge to over-engineer” - something we’re all guilty of at some point in our careers. Josh Brewer talked a lot about the fear of showing unfinished work, and wanted to remind us that “failure is only failure if you don’t learn from it”. 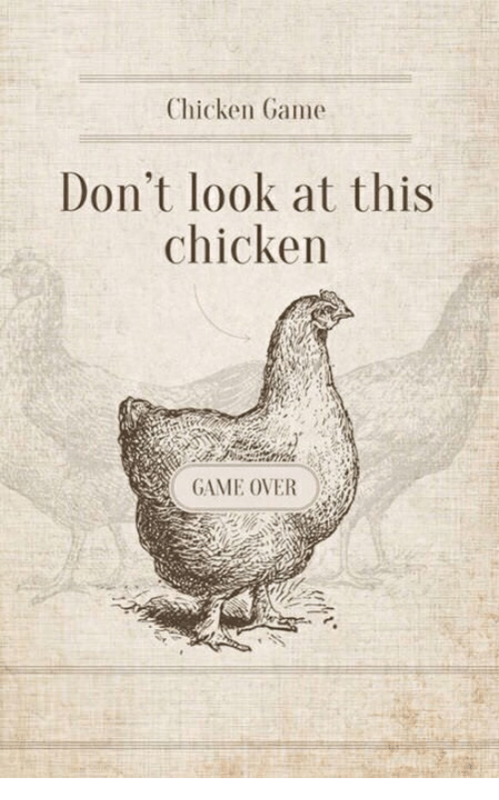 Jeremy Keith made us all lose the “don’t look at this chicken” game. Brendan Dawes thanked Tim Berners Lee for allowing him to use IFTTT to remind him to take his bins out every week. Rich Wells sketch notes are infinitely better than yours. If you missed out, New Adventures confirmed that all the talks were videoed and will be uploaded soon for a small insight into this brilliant conference. Make sure you follow @naconf on Twitter, and let’s hope it’s back again in 2020.